Unless you are Stephen King, publishing is like graduating from college – people aren’t knocking down your door asking you to work for them, or in this case, talking about your book. At least not until you get your name out there. And that can take a bit of time, a lot of patience, and a creative streak. It also requires the assistance of a lot of people to help get the word out: authors, festival organizers, writers, and most importantly, readers. One of the coolest gigs I’ve found are the book festivals. Book Festivals are held in many states and typically hosted through a humanities or arts council. There are scores of authors and hundreds, if not thousands of readers that travel from all over to learn about books, listen to presentations, participate in workshops and get their books signed, and hopefully have a conversation with the authors! I’ve met so many neat people on these trips and had really interesting conversations with writers and readers alike. On March 21, 2019 I’ll be flying to Charlottesville, VA to take part in the fabulous Virginia Festival of the Book, and on May 3rd traveling to Berkeley to present at the Bay Area Book Festival. And don’t forget the media. I’ve had fabulous conversations with interviewers like Ann Szalda-Petree of Missoula Community Radio, author Laura Pritchett, who has written a fabulous profile that just came out in FoCo Magazine, author Deborah Kalb whose Q & A with Susan Devan Harness was posted on her blog on, what else? Authors! And there’s really cool things in the works, which I’ll post as soon as they are available. A hint…I may have hit the international market. Upcoming radio interviews include March 3, at 2:15 PDT on Peace Radio out of Moscow Idaho, as well as March 23 on Apropos of Something in Charlottesville, VA. Readings are another great way to get information about Bitterroot out. 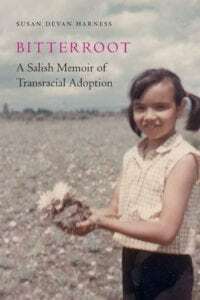 I’ve read Bitterroot in Pinedale, WY, Fort Collins, Denver, and Littleton, CO, Missoula, MT and on the Flathead Indian Reservation. Upcoming Readings: April 6 at Prairie Edge in Rapid City, SD, as well as Crested Butte, CO – details forthcoming. What I love about readings and the discussion that follows is that they give me a chance to connect with people not only about the book, but about the historical/political/cultural context in which the book is situated. They allow for deeper conversations and exploration of what it means to be part of a family, a community, a society, and the responsibilities associated with each. I look forward to scheduling more readings and more conversations. If you are a bookstore, a book group, a coffee house, a college instructor who is interested in a reading/discussion please contact me through the contact form. How can you help? If you are a writer, write a review for a blog, a literary journal, or a newspaper. To see what others have written visit Carter Meland’s review of Bitterroot in the Star Tribune, or Victoria Collins’ review in the literary journal. If you are a reader, leave a review/rating on Amazon.com, barnesandnoble.com, or Goodreads.com. Whatever your choice, your participation will be VERY much appreciated. I hope to see you at an upcoming venue!